Membership information 2017 - No increase from last year! We also have FAMILY MEMBERSHIP which is a maximum of £455.00 per family (2 adults and their children Under 18 on 1st April in the current year, who all live in the same house). Full Members can play at all times except on Fridays between 4pm and 8pm. 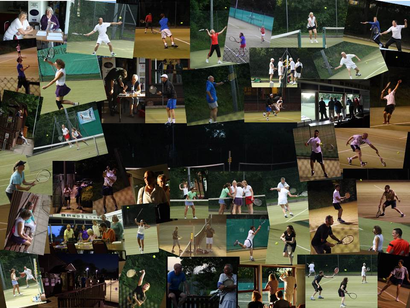 Midweek Members can play till 6pm on Mondays and Thursdays and till 4pm on Fridays. Junior subscription covers the cost of professionally supervised coaching from 4pm till 8pm every Friday from April to July and September to October, excluding Fridays falling within a school holiday period. Visitors are subject to a maximum of three visits per person per year. The fee of £5.00 for an adult and £3.00 for a junior are payable to a committee member.